Hi, there is an unknown error -3212 appearing on my PC whenever I try to connect to the iTunes store. Please tell me why I'm unable to connect to iTunes store and getting this iTunes error -3212? Also if you have any suggestions, please help me. Thanks! Working with iTunes is sometimes not a easy process. Executing the processes with iTunes like restoring or updating sometimes don't go smoothly and make people annoyed by popping up different error codes. This time, the users have shared the problem of iTunes error -3212 which occurs when they are opening the iTunes Store. Let's find out what could be the reasons that trigger this problem and how one can solve it. These are the possible reasons when you get the message, "iTunes could not connect to the iTunes Store. An unknown error occurred (-3212)" on your screen. A corrupt downloading or unfinished installation of iTunes can be one of the potential reasons. When Windows system or iTunes-related programs get infected with virus or malware. Corrupted Windows registry due to a recent download or installation of any software may result in this error -3212. When iTunes related files get deleted accidentally or because of malicious programs, it might also lead to this error. There are several different reasons that result in the errors such as 'Error -3212'. We would like to tell you some tips to fix the problem. Make sure that your WiFi connection is good and the network speed is active. If not, just change a WiFi or restart your router to try again. Though, we know that sometimes you might download some software or programs from internet, or sometimes malware and virus can infringement the computer through web browsing or accidentally through email attachments. Even if you keep away from suspicious websites, you never know when trouble can happen. So, it is essential to use security software which at least scans your computer and keeps malware away. In order to ensure that your computer is safe from any malicious attack that might wreck havoc and deteriorate its performance, the firewall or security software settings might prevent iTunes to access internet. To check your firewall or security software settings, you need to go to the settings of the antivirus program and select iTunes. Set it to 'Allow' and click 'Apply' if it is not. Allowing iTunes would let it connect with the internet and enable your open the iTunes store. We hope, now your iTunes work perfectly without any error. When the iTunes error -3212 persists after repeated trials, completely uninstall it and reinstall it. It should resolve the issue you are facing with iTunes. 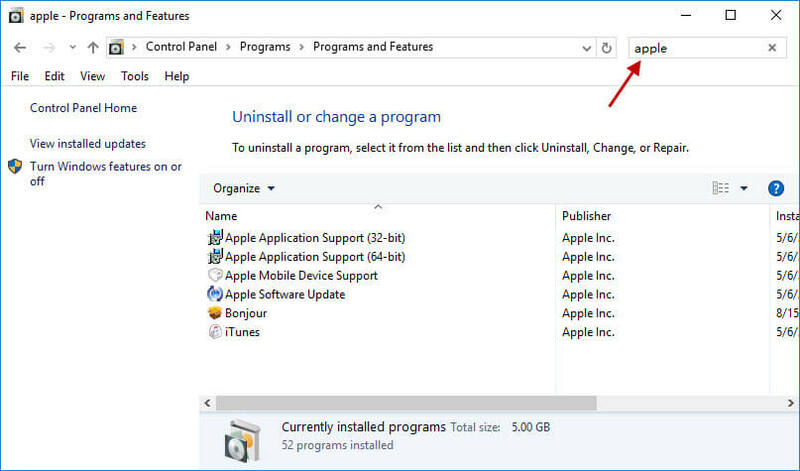 While removing iTunes from your PC, make sure to follow this order of uninstalling software components. Download the latest version of iTunes and install it on your PC. Now the issue should be resolved. If not, try finding more information on the support page of iTunes. This is an additional tip for iPhone users who are in need of restoring an individual app to iPhone instead of the whole iTunes or iCloud backup. You can try this program iMyFone D-Port Pro. 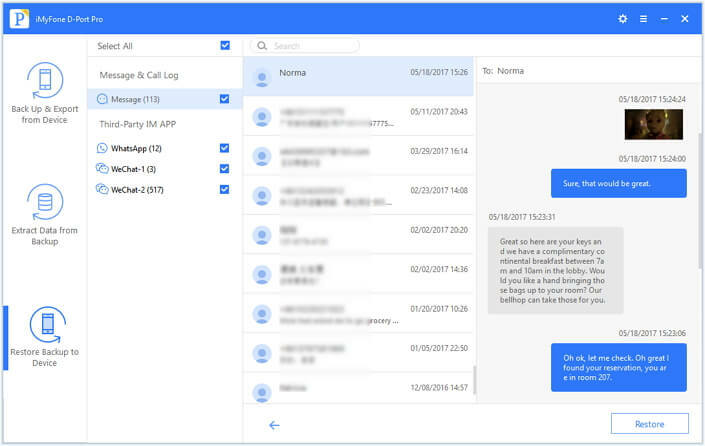 This software is designed to allow the users restore data in a flexible ways. With D-Port Pro, you can also selectively restore iCloud or iTunes backup. 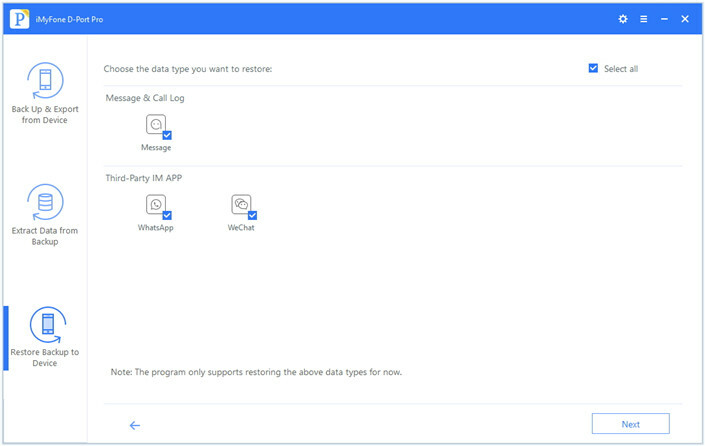 For partial or selective restoring, text messages, WeChat, or WhatsApp are supported currently. More data type will be supported in the next version. 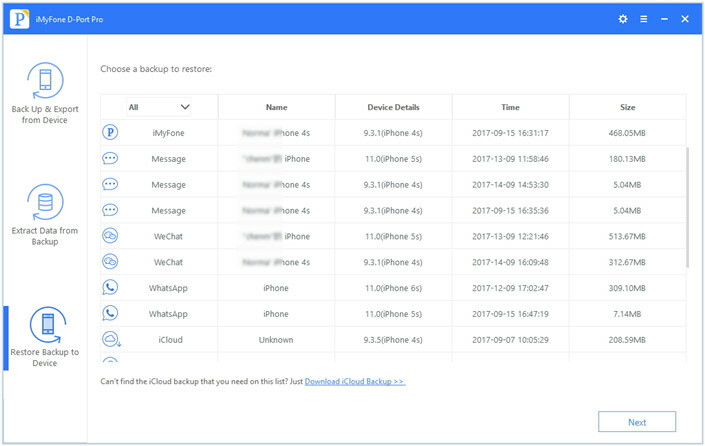 It is also a flexible backup tool (free) and a data exporter tool which helps you to export 18+ types of data from iOS devices or iCloud/iTunes backup. Check more details here. It is compatible with iPhone 8/8 plus, and iPhone X and iOS 11. Let's see the guide for restoring iPhone selectively step-by-step. Step 1: Connect your iPhone to your PC and launch iMyFone D-Port Pro. 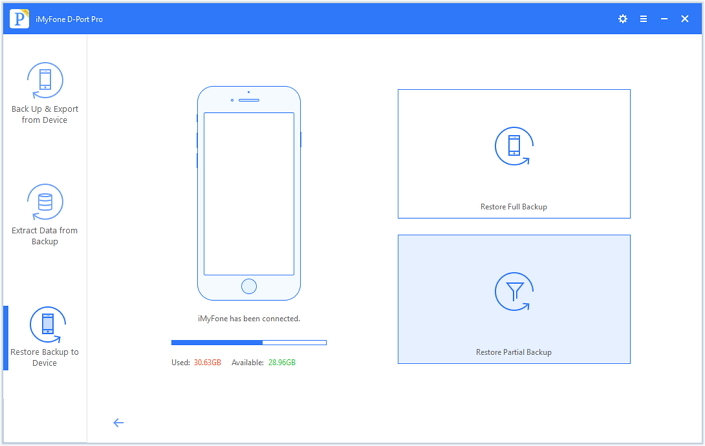 From its main screen window, select 'Restore Backup to Device' from the left panel. Step 2: Choose the preferred backup file from which you wish to restore your data. Now, choose 'Restore Partial Backup' and click 'Next'. Step 3: Select the data type and click 'Next'. As of now selected data types for partial restore. Step 4: iMyFone D-Port Pro will take a while to scan the data on your iPhone, preview the data types and click 'Restore'.